Today, most Windows users especially laptop users connect to the Internet using Wi-Fi. But there are times when you might feel the need to use an Ethernet connection. Here Ethernet connection refers to a wired Internet connection through RJ45 port. If you are facing “Ethernet not working” issue on your computer, this post is for you. Here we have provided some easy solutions that could fix the issue. If the Ethernet connection is coming through one of the port on your router, there is a possibility the router port you are using currently has gone bad. Try using another port on the router for the Ethernet connection. Make sure the RJ45 connector on both ends of the connection are in good condition and the Ethernet cable is not broken. Check the wire and look for any signs of damage. After you have confirmed there is no problem with the router or the Ethernet cable, you can go ahead to perform troubleshooting steps given in solutions below. You don’t need to try all solutions. Start with the first solution and work your way downwards until the “Ethernet not working” issue is resolved. Solution One- Ensure the Ethernet is enabled on your computer. 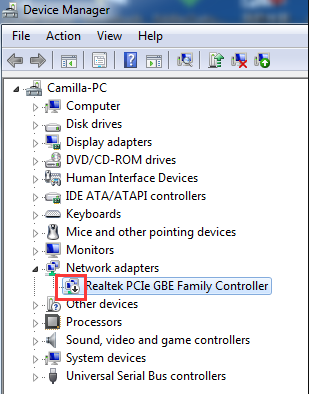 There is a possibility the Ethernet connection on your Windows PC is disabled accidentally. In that case, you need to enable the Ethernet connection to resolve the issue. Here are the steps to follow. Anti-virus software tools are known to sometime block Internet connectivity. You need to ensure the anti-virus is not causing the issue. Disable the anti-virus temporarily and see if the issue is resolved. 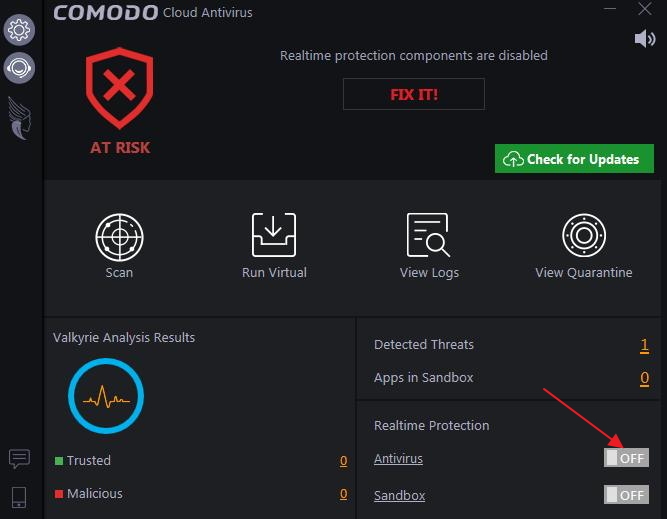 The steps to disable anti-virus differs with every software tool. Here we have given general steps that can be used as a reference. The menu and the options and the steps to disable anti-virus may be entirely different in your case. Check whether the Ethernet not working issue is resolved. If the issue is resolved, you can conclude the anti-virus is the cause of the issue. In that case, you need to contact the software manufacturer and explain the issue and ask for a solution. Note- If your Ethernet connection as started working after disabling anti-virus, be careful when visiting sites or opening files. You also have the option of using another anti-virus to secure your computer. However, if the issue remains unresolved even after disabling anti-virus, enable it again and move to the next solution. There is a possibility the network driver is corrupt and causing the issue. You can try uninstalling the driver which will force the Windows operating system to use a generic network driver that might resolve the “Ethernet not working” issue. Here are the steps to follow. Check whether Ethernet not working issue is resolved. If the issue still persists, move to next solution. An outdated network driver can cause ‘ethernet not working’ problem. You may be able to fix the issue by updating the network driver. 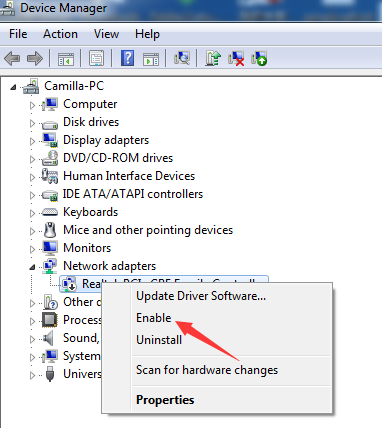 The easiest way to update your network driver is to use a fast, accurate, and advanced driver update tool. One such tool is DriverDownloader. It is quick and 100% accurate. You can update your network driver with a click of a button. Simply download DriverDownloader by clicking the green button below. 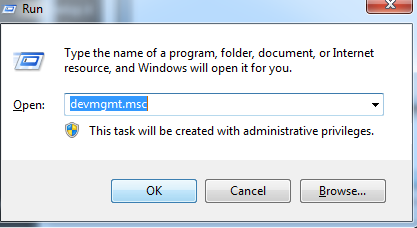 Next, double-click the driverdownloader.exe file and install the tool. Finally, launch the tool and register it. Only registered users enjoy automatic driver updates, so it is important for you to register it. As DriverDownlaoder offers 30-day money-back guarantee, there’s no reason why you shouldn’t try it.